If you’re familiar with the basics of SEO, then you’ve likely heard people talk about link-building. As Google’s search algorithm has improved and SEO practices have evolved, linking has become more important as well. Well-placed links will signal to Google that your website is helpful to users, and help it rank higher in Google searches. 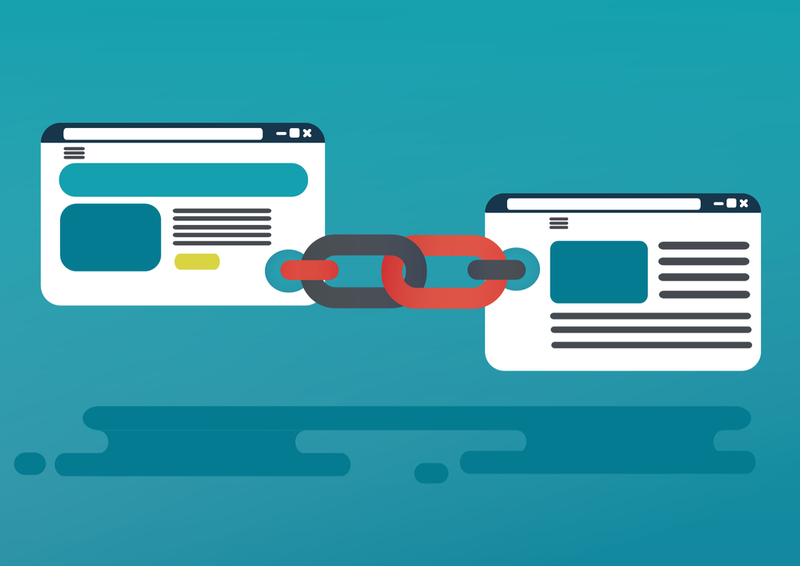 Read on to learn about how you can improve your websites with the right link strategy. Interlinking is the practice of placing links to particular pages on your website on other pages. This is a major signal to Google that your website is structured for the user, and that they will have an easy time finding relevant content. Content is king, and blogging should be a major component of your SEO efforts. As you write articles related to your industry, chances are that some blog information will overlap. This is a great opportunity to interlink, as it gives readers an easy way to find further information about particular topics. For example, if you wrote a blog post about having energy before a workout for your fitness equipment blog, then you might link to a previous post about carbohydrates. Your first SEO initiative should be to create content. This means a homepage, product/service pages, and blog posts. All of this content should be detailed, and at bare minimum, 300 words. As you begin to build a library of blog content, these posts should be incorporated throughout the website. This allows users to easily find more information about particular aspects of your business. For example, a software developing company should create a website, and later include a link to a blog post about coding languages, after they have had time to write these posts. Coveted by the small business owner, the right backlink could mean a world of difference in your SEO efforts. A backlink is any link to your website from another website. Not only will the link from the other website point users to your website, but it will also demonstrate your website’s value to Google. Backlinks are also called inbound links, and have a strong impact on your domain authority. There are two different types of backlinks. Follow links are ideal. This means that the website administrator has verified the value of your webpage, and is comfortable with endorsing your website. Follow links contribute to your website’s SEO value. Nofollow links are not quite as ideal as follow links, but still beneficial. They do not automatically boost your website’s domain authority. Instead, this signals to Google that while the content may be relevant, they are not endorsing the website as a whole. Over time, though, these NoFollow links may gain traction, and develop value anyway. The referral traffic that your website will receive is valuable, even if it does not boost your domain authority. How Do Links Impact My Website Rankings? As Google evaluates potential pages to include on a search engine results page, there are a few factors that come into consideration. One of Google’s recent trends has been evaluating websites by their site speed. Linking is another one of these ranking factors. Based on the links that a website has, Google assigns each website a domain authority score. Sometimes called link juice, the domain authority also indicates how likely a website is to rank in a Google search. This domain authority score takes all of the factors (interlinks, backlinks and usability) mentioned above into account, and evaluates the way that your website has used these links. Moz, an authority in the SEO world, created this score to serve as a comparative metric. In other words, this number is more useful in comparisons to other websites, rather than evaluating your own website in a vacuum. All websites start with a domain authority of 1 from the outset, unless they have an outstanding backlink. Naturally, many website owners strive to increase their website’s exposure through link building. There are two main ways to do this. Editorial link building is the most effective tactic. In a similar vein to natural selection, the idea behind editorial link building is that the high-value pages will receive links. In other words, if the content is important or relevant enough to a particular webpage, then it will naturally receive links. This style of link building is often most effective for articles from niche companies with highly specific information. For example, if your chiropractic office creates great content outlining the causes of back pain, then WebMD may find it, and incorporate it on a page describing the causes of back pain. When websites are not finding your content naturally, you may want to try link outreach. During link outreach, users contact companies with pages where your information might be useful, and recommend that they link to it. This often takes several attempts before it is effective. When conducting link outreach, you should make sure that the other organization has a higher domain authority. For example, after creating a guide about how chiropractors evaluate and diagnose back pain, your office might reach out to other chiropractic offices, and suggest that they include a link to it on other websites. For the best results, it makes sense to find offices in other parts of the country, as non-competitors will be more likely to do this. Links, are important, but delving into the black hat world will wreak havoc on your long-term SEO strategy. Back in the old days of SEO, link builders tried everything to boost rankings. Now known as “black hat SEO”, many of these illicit tactics are penalized by Google. Generally speaking, any paid linking strategy will eventually decrease your website’s domain authority. The tactic that receives the highest penalty is any form of paid linking. Often called link farms, these websites have a high domain authority, and link to several websites in one industry. Another common tactic is linking to one website in exchange for them to link to your website. Google penalizes websites for both of these tactics. Regardless of how you go about this linking process, keep in mind that all links should be included for the user. Google’s goal in updating its algorithm is to appeal to users. Consequently, it can detect when websites try to increase traffic without the best interest of the user in mind. So, be sure that all of the links on your website will be helpful to users. At SEO Long Island, our team is prepared to help all small businesses improve rankings. With a thorough understanding of SEO, we can help your company to create and implement an overarching strategy. Contact us to improve your search rankings today!